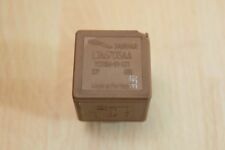 Jaguar BROWN RELAY LJA6703AA Buy One Get A Spare FREE! XJ6 XJ8 XK8 X350. JAGUAR PART NUMBER: LJA6703AA. XJ6 XJ8 XJR XK8 XKR X308 X350 1996-2010. We are a Jaguar vehicle parts specialist, based in the East Midlands. Genuine5 Pin Yellow Relay (Multi-Use Relay). Jaguar S-Type. Genuine Jaguar Part. Made in United Kingdom. PART NUMBER: C2S48039. XF [X250] (2008-2015). 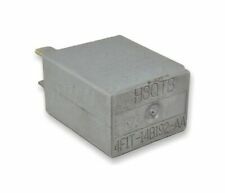 Rear wiper relay, grey. Genuine Jaguar. Specialising in Austin-Healey, Classic Mini, Jaguar, Mazda MX-5, MG, Morris & Triumph. 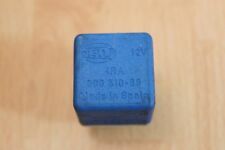 Jaguar XJ6 & XJ12 Series 1/2/3 XJS Relay 26RA - Jaguar Part No: DAC1027 – New. XJ6 S2 / Daimler Sovereign S2. Daimler Sovereign S1. Jaguar XJ40 Relay Module DBC10421. LH & RH Front Screen Heater, Interior Lamp and Puddle Lamp. Lucas SRB400 relay. Lucas 33231, 33333, 33361, 33365. Authorised UK Distributor of Lucas Electrical Parts. Auto Electrical Spares. PART NUMBER: LNA6706AA. Jaguar X300 (XJ6), X308 (XJ8), XJR &XK8 Relays. X308 (XJ8 & XJR8) between 1997 & 2002. X300 (XJ6 & XJR6) between 1994 & 1997. X100 (XK8) requiring above part number. Excluding weekends. 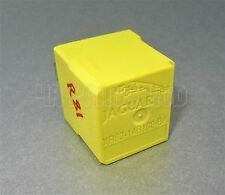 Genuine 5 Pin Yellow Relay (Multi-Use). Jaguar S-Type. Jaguar X-Type. Genuine Jaguar Part. Colour: Yellow. Made in United Kingdom. 2 X Jaguar X XJ S Type. Multi-Use Yellow Relay 5-PIN. 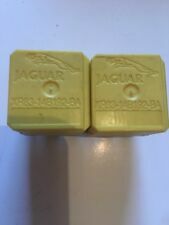 Jaguar XJS XJ-S Facelift HE CAT Version Rare Classic ECU- Jaguar Part No: DAC9628 - New Factory Sealed in Box. JaguarBlue Hella Relay (4RA 003 510-68). HELLA PART NUMBER: 4RA 003 510-68. XJ40: XJ6 XJ12 between 1992 & 1995. JAGUAR PART NUMBER: DAC 7686. X300: XJ6 XJ12 XJR6 between 1994 & 1997. XJS: 4.0 & 6.0 between 1992 & 1995. Jaguar XJ40 Relay Module DBC10009 (H Module Relay). Auxiliary Positive, Sidelight Positive, Auxiliary Sidelight and Cigar Lighter. JAGUAR PART NUMBER DBC 12039. JX SERIES MAY FIT OTHER MODELS. TO FIT THE FOLLOWING MODELS. LOCATION JAG 14. PART NUMBER: C2S29032. XJ [X350] (2003-2009) Glow plug and secondary injection relay. XJ [X351] (2010-On) Secondary injection relay. Glow plug relay, diesel. Genuine Jaguar. 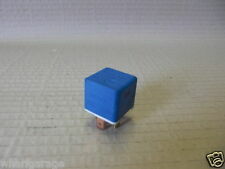 X-Type [X400] (2001-2009) Glow plug relay. JAGUAR Mk2. 12v Indicator Flasher Unit. will run 2 x 21watt Indicator Bulbs 5 watt Stalk bulb. 35010A FL5 12v 42w Plug or bracket fixing, Screw connectors. ~weather resistant, aluminium body~. Check out the. PART NUMBER: C2P11143. Relay, 70 amp, basic, grey. Genuine Jaguar. Specialising in Austin-Healey, Classic Mini, Jaguar, Mazda MX-5, MG, Morris & Triumph. Parts, tools and accessories since 1948. LNA 6702 AA. JAGUAR XJ6 / X 300. COOLING FAN RELAY. X-Type [X400] 2.0 Diesel & 2.2 Diesel (2001-2009). Fuel fired heater relay. Genuine Jaguar. Specialising in Austin-Healey, Classic Mini, Jaguar, Mazda MX-5, MG, Morris & Triumph. PART NUMBER: C2C6786. PART NUMBER: LJA1820AA. X308 (V)812319 TO(V)F59525. Specialist in second hand spares and performance parts for Jaguars. XK8 V8 TO (V)042775. XK8 (V)A00083 TO(V)A30644. XK8 FROM (V)A30645. This is an alternator suppressor module for Jaguars with premium sound systems. GENUINE JAGUAR RELAY .. 5 PIN ..
5 PIN RELAY. GENUINE JAGUAR. GOOD WORKING ORDER. Jaguar XJ6. Front Lamp Relay Module. STAMPED 9162 C3. JAGUAR RELAY. LEATHER BLACK. TRIM CODE LEG WARM CHARCOAL. STAMPED 9298 B1. JAGUAR RELAY. LEATHER BLACK. TRIM CODE LEG WARM CHARCOAL. STAMPED 9219 B1. JAGUAR RELAY. LEATHER BLACK. TRIM CODE LEG WARM CHARCOAL. STAMPED 9212 B1. JAGUAR RELAY. LEATHER BLACK. TRIM CODE LEG WARM CHARCOAL. LOCATION JAGUAR 12 & JAGUAR 17. 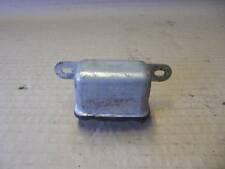 JAGUAR PART NUMBER C2C13101. A GREAT GENUINE PART. TO FIT THE FOLLOWING MODELS. PART NUMBER :LNA2100BB. XJ SERIES X300. XJ SERIES FROM (V)720125 TO (V)812255 (X300). XJ40 XJ6 XJ12 (V)667829 TO (V)708757. Specialist in second hand spares and performance parts for Jaguars. 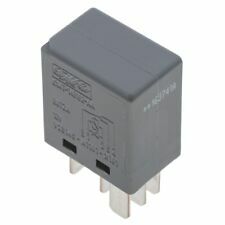 Genuine4 Pin Grey-Silver Relay / Multi-Use Relay. Jaguar S-Type. Good Working Order. STAMPED 9211 B3. JAGUAR RELAY. LEATHER BLACK. TRIM CODE LEG WARM CHARCOAL.